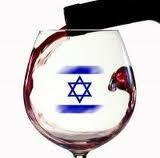 It makes sense that Israel produces good wines because the Middle East is where wine was born. For centuries Israeli wine was reserved for religious ceremony, and the less of it one had to drink, the better. But over the past decade or two, the country been producing some very good wines for consumers — wine to drink with food for earthly pleasure, not just the glory of God. Israelis have a new relationship with wine, too, and they want to learn as much as they can. There are tastings now, and winery visits, and wine with dinner. A few years ago, at a wine festival in Chicago, curiosity won out and I had my first taste of Israeli wine, a Yarden Cabernet Sauvignon. Folding my festival map I walked straight to the end of the line to wait for another pour. It was wine that would have been good no matter where it had come from. It was extra good because it was a nice surprise considering where it had come from — the rugged, dry Middle East.